First it was supposed to be Lenovo. Then it was supposed to be Acer. Now, it's confirmed that it was Gateway all along, funded by its soon-to-be-owner Acer. All and sundry have been queuing up to buy Euro-centric PC vendor Packard Bell. The reasoning is simple: all these companies want a better foothold in the European consumer market. Lenovo and Acer are strong in European business, but off the pace in the consumer space. Gateway, by contrast, is already big in the UK consumer space thanks to its relationship with Tesco and other big retailers. But Packard Bell is number three in Europe and number three in the UK - thanks in no small part to its sales through PC World. 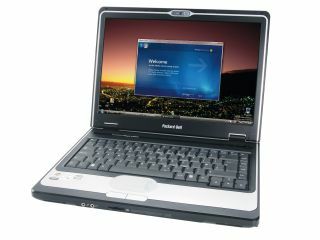 Gateway has clearly been courting Packard Bell for some time, but it seems the deal was iced pending Acer's purchase of Gateway, announced at the end of August. Acer has agreed to the Packard Bell deal. It's also emerged that Gateway had the right to first refusal to buy Packard Bell brought about by a previous deal. Lap Shun (John) Hui owns a 75 per cent interest in PB Holding, the parent company of Packard Bell but he also previously sold eMachines to Gateway in March 2004. The deal is set to be completed by the spring.